British boy band One Direction and Columbia Records have announced a November launch for their second album ‘Take Me Home’, after taking the world by storm and taking over the US charts with their first album. One Direction was put together during the 2010 series of the X-Factor, at the auditions in London. Although the band didn’t win the competition their talent was undoubted and the boys were offered a record deal after the show. Simon Cowell has an eye for talent and these boys Niall Horan, Zayn Malik, Louis Tomlinson, Harry Styles and Liam Payne certainly caught his eye from the start of the competition and have gone on to have huge hits such as ‘You’ve Got That One Thing’, ‘Gotta Be You’ and ‘What Makes You Beautiful’. The huge success of their first album meant them shooting into the world of stardom very quickly. Their true success was truly recognised when they were asked to perform at the Olympic opening ceremony that was watched by billions. The boys performed next to great artists such as Emeli Sande and Noel Gallagher, as well as legendary groups Take That and the iconic Spice Girls. 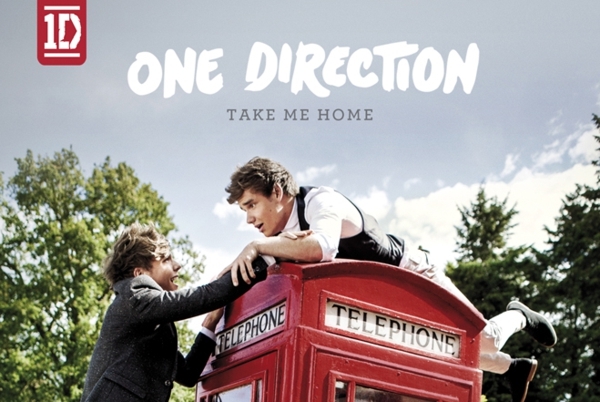 ‘Take Me Home’ has much more influence from the One Direction boys themselves, having helped write some of the songs and produce the album. This album will give us more of a flavour of their own styles. Another testament to the boy’s talent is the continual recognition by other top class music stars; some of the tracks on the new album have been co-written by stars such as Ed Sheeran and Tom Fletcher from boy band McFly. The first single to be released from the Album will be called ‘Live While You’re Young’ and is expected to be aired on the radio for the first time on the 24th September 2012 in preparation for the expected album release on November 13th, Columbia Records have announced. The release of the second album will see the ‘Gotta Be You’ singers embark on a second world tour following the huge success of the tour earlier this year, which included sell out arenas at Auckland and Wellington in New Zealand. As yet there have been no dates announced, but expect the second tour to be bigger and better than the first, with some excellent, well known, support acts. You never know, there’s always a chance we could see the boys lining up next Ed Sheeran on stage given the fact that he has co-written some of the songs, so fingers crossed for that.